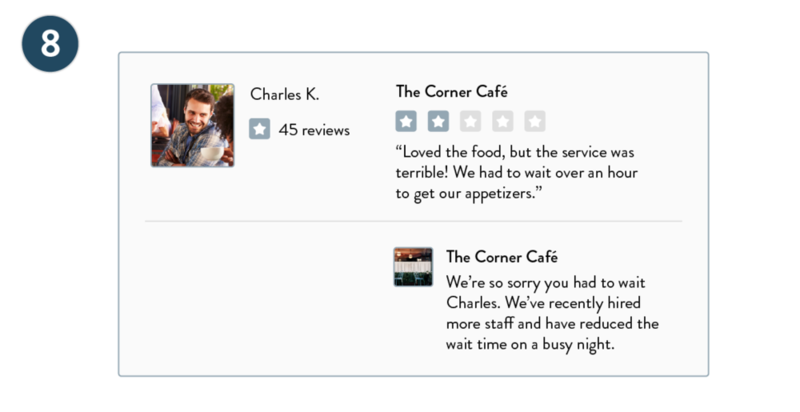 Internet review sites have gained steam in recent years; Yelp and Foursquare both support millions of daily users. These review sites and many others have changed the way that consumers find local businesses. 88% of consumers say that they trust online review as much as personal recommendations, which means that your online reviews are just as important as word of mouth referrals. Many business owners know they should be setting aside more time to monitor their reviews, but once you have the time, where do you start? Below are the best practices for review monitoring to help you and your staff through this delicate process. Most review sites require you to claim your business listing before you will be able to respond to your business’s reviews. Check out our handy guide that will help you claim your listings. Make sure that you or a staff member is consistently monitoring popular review sites for new reviews of your business. If a review requires a response, you’ll want to be able to respond as quickly as possible. While there is no need to respond to every review, responding to a handful of positive reviews helps you engage with happy customers too. Appreciating customers who already have a positive view of the company can turn them into regulars. When you find a negative review, read the full review carefully so that you understand the issue fully. Decide if the review merits a response. If the main complaint in the review is an issue of personal preference such as too much garlic in my marinara sauce or this fitness center doesn’t have the barre class I like, then it might be best not to respond. There is nothing for your company to defend or fix. If the complaint stems from a service issue or a faulty product, you should consider responding. After deciding that a negative review is worth a response, gather as much information about the incident as you can. Ask your staff what happened from their perspective and if they remember the specific customer. Do the complaints in the review have merit? Is this feedback that you can use to better your service? Once you have gathered your information, you have to decide whether or not to respond publicly or privately. Often it is best to respond privately; this often can de-escalate the conflict and makes the customer less likely to get defensive. 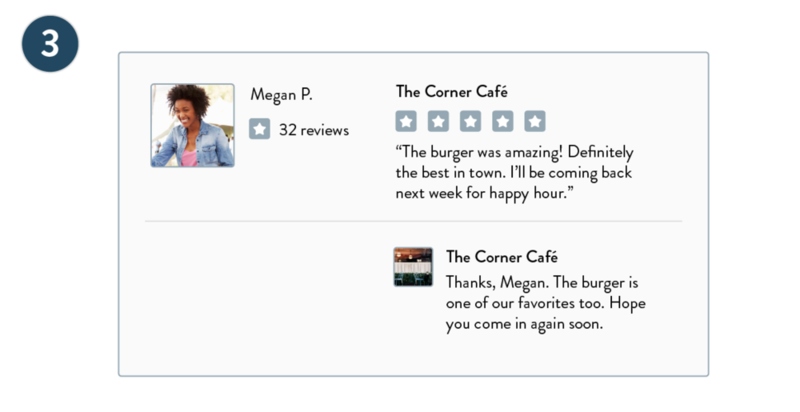 Many review sites allow users to update a review, so if you are able to smooth things over in a private message, users may update previous reviews to reflect your efforts. Always start a response to a negative review with an apology, even if the issue wasn’t your fault. A customer walked away from their experience with your business unsatisfied and an apology will make them feel heard. Show others reading this review that you are constantly striving to be better. If you address the issue raised and explain ways that you hope to avoid this issue in the future, that reviewer and other readers may be inspired to give your business another chance. Always thank a reviewer for taking the time to give you feedback. Feedback is a gift for business owners and if utilized productively can help you improve your business. Saying thank you will make you seem professional and foster good will between the readers and your business. Following these steps will help you manage this aspect of your online presence and maintain a positive reputation amongst consumers who are active on review sites. To enhance your online listings with the information that customers are searching for, check out SinglePlatform.